Please contact owner Heather at 757-515-4181. 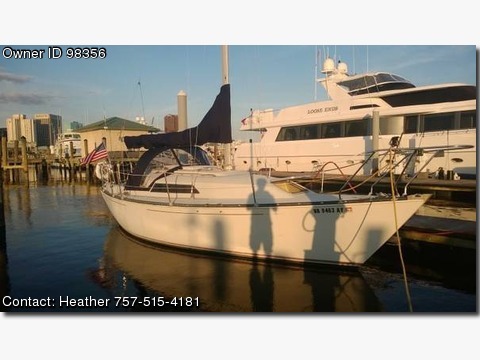 Boat is located in Portsmouth, Virginia. 5&#39;3&quot; draft. Yanmar diesel engine runs great. New mainsail cover and dodger. All new cushion covers (Sunbrella Heritage Collection). All new curtains (Sunbrella Heritage Collection). New Garmin 740 GPS Chartplotter (paid $1,000). New transom mount transducer (not yet installed). Moving, must sell and will consider all reasonable offers .